At Sovereign Funerals Brisbane, your needs and the needs of your family come first. Losing a loved one can be a distressing time so we are committed to relieving you of as much stress and worry as possible. 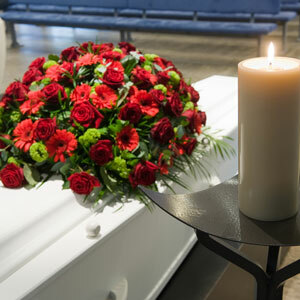 We will walk with you through the process of arranging a funeral from the beginning to the end. We will explain all of the options that are available to make sure the funeral service you arrange with us is tailored to meet your lifestyle, cultural, religious and financial needs. We understand that you may have a lot of questions about the funeral process, especially if this is a new experience for you and your family. We promise to listen, to answer all of your questions and to give you practical advice and guidance. 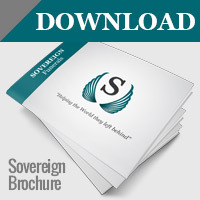 We want you to be assured that with Sovereign Funerals, you are in the best of hands. What type of service do I want? A cremation or a burial? What style of funeral service do I prefer? eg Religious? Non-religious? A Celebration of Life? What should I include in the service to make it more personal? You might like to include a favourite song or piece of music, favourite keep sakes, photos or a DVD to play during the service. Where do I want the service to be held and when is the best day/time? How do we best communicate funeral details to our loved ones? Our Funeral Directors will guide you through all these decisions so that you are able to arrange the perfect goodbye for your loved one. Presenting a eulogy at the funeral of your loved one can be daunting. How do you capture a lifetime of memories and achievements in just a few words? because a picture speaks a thousand words. So a compilation of photos and videos collected over a lifetime can tell the life story in a way that words alone cannot achieve. Adding music can also help to tell the story – It could be a compilation of their favourite songs, or one that says it all. Of course, the time leading up to a funeral can be very emotional and also very busy for you. That’s why, when you arrange a funeral with Sovereign Funerals, we offer a complimentary Memorial Video service. Simply send us all the photos you’d like included in the video, as well as your preferred music and we’ll create a Memorial Video for you.